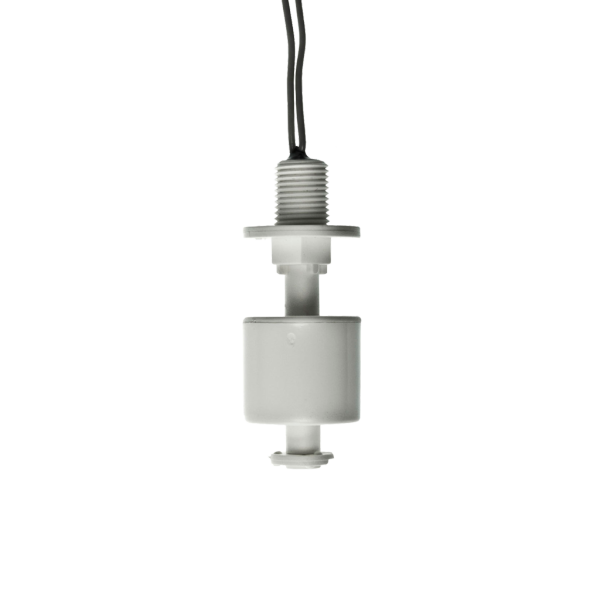 The 20 Series Vertical Miniature Float Switch is a cost-effective mini float switch for high volume OEM applications. 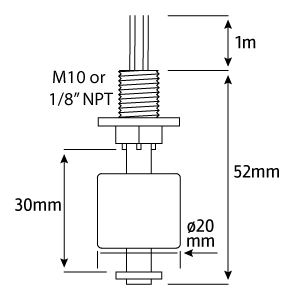 The micro-miniature packaging allows for accurate sensing within a very small form factor, ideal for small spaces. 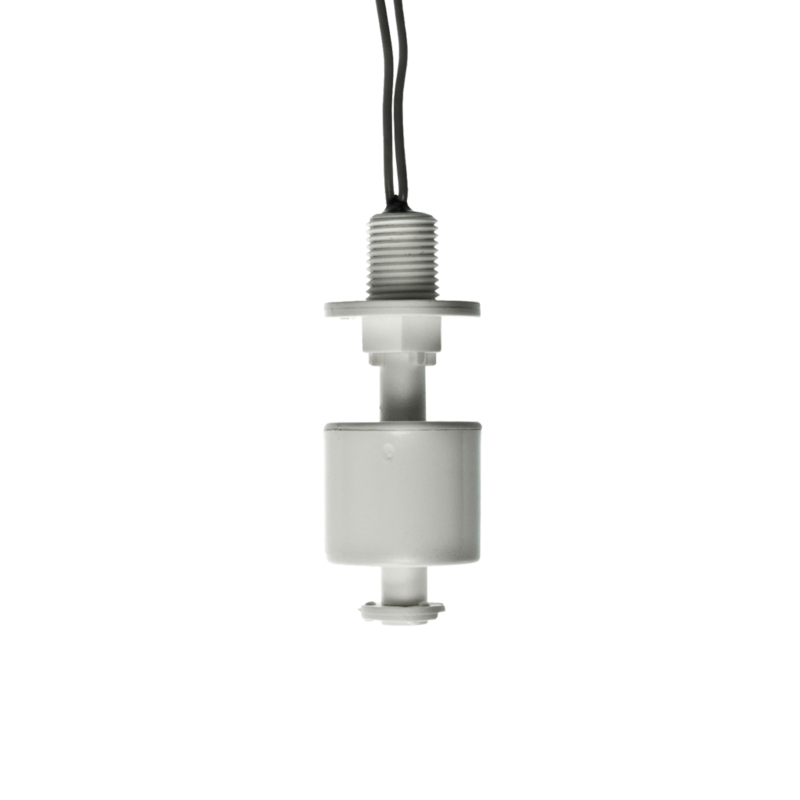 This vertical float switch is suitable for food/beverage, automotive, consumer and medical applications. Form A Switch,1 Watt max. 24v DC switching voltage max. 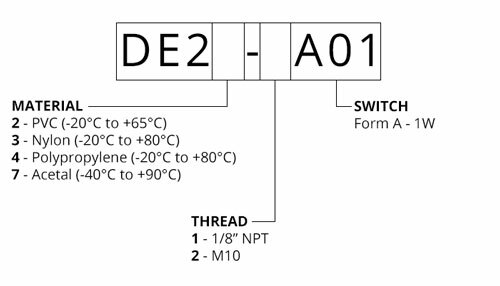 150v DC breakdown voltage min.